Move In Ready!! Perfect For First Time Buyer Or Investor. Everything In This Condo Is New! High End Finishes! 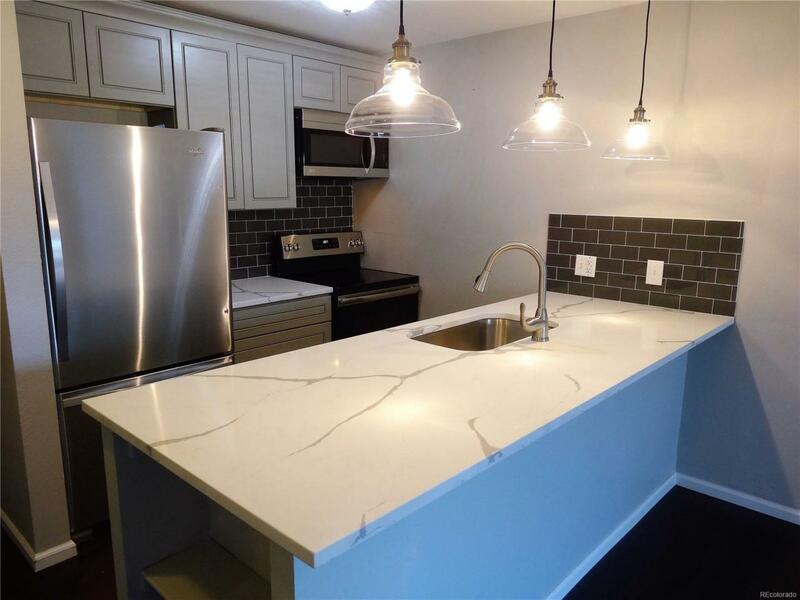 New Grey Soft Close Cabinets, New Stainless Appliances, Slab Quartz Counters, Glass Backsplash, Glass Pendants Over Bar! Kitchen Bar Opens To The Spacious Family Room. Gorgeous New High End Wide Plank Laminate Wood Floors! New Grey High End Patterned Carpet In The Bedrooms! New Double Pane Windows! New 2 Panel Doors Throughout! All New Paint! Completely Remodeled Bathroom! Wow! Too Much To List! Bring Your Pickiest Buyers! Walking Distance To Parks, Open Space, and Library. Great Dog Park,Close To Transportation, Highways and Shopping,Only 10 Minutes To Downtown! A Must See!! 3rd Bedroom Is Non-Conforming. Offered by 360 Real Estate Inc.